As you travel throughout the countryside and towns of America, you can't help but take notice of the various weathervanes and whirligigs that grace rooftops and gardens as well as those that have made their way into homes and museums as folk art objects for display. Over the past twenty six years, I have developed an increasing interest and passion for this type of folk art. 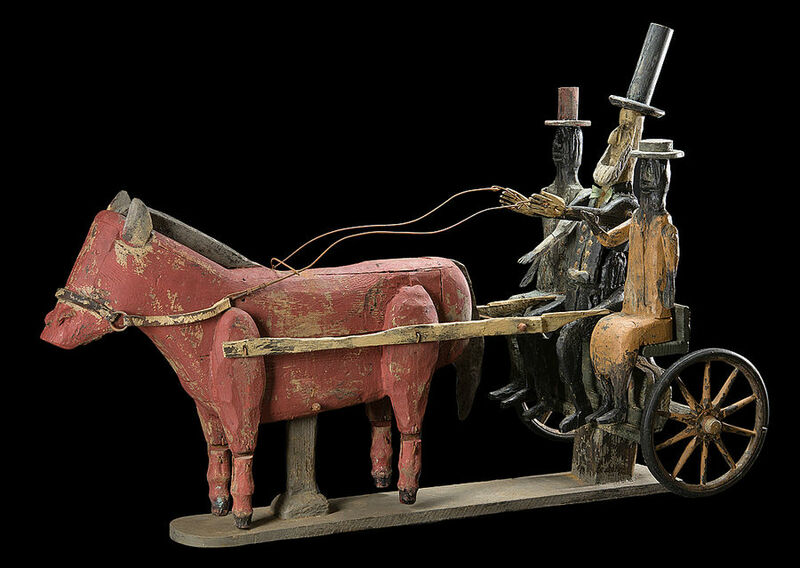 I began collecting antique originals and then started researching folk art objects to handcraft weathervanes, whirligigs and trade signs in the true folk art tradition. Most of the wood used in my work is over one hundred-year-old heart pine salvaged from various 19th century barns and outbuildings in upstate NY. I also incorporate antique copper, tin and iron into my work. Various tools used to handcraft each piece include chisels, draw knives, handsaws and carving knives. I want to continue this type of American folk art so that it lives on for many years to come. I hope you enjoy my work as much as I enjoy handcrafting each and every piece. The entire contents of this site is protected by US Copyright law. The use of any of the site's text or graphics, in whole or in part, without written consent from Steve Hazlett is prohibited.